I have been a member of the Cawarral Rural Fire Brigade for 9 years, being elected in as Treasurer. During the past 9 years I have also taken on roles as Peer Support Officer, Volunteer Community Educator and assistant training officer. My whole family including my husband, two sons, and two of my daughters are also actively involved in the brigade. 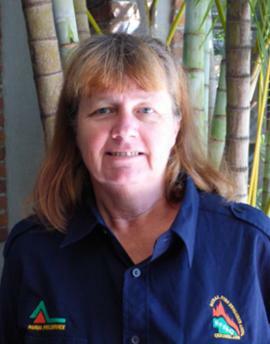 I have also worked in the Rockhampton Area Office of Rural Fire Service Queensland for a year. I have seen that there are many brigades in this area, approximately 120, with some of them being smaller brigades/ Primary Producers. After meeting most of the brigades, I decided to nominate as the District Representative for the RFBAQ to help and assist as many brigades in the area that I could. Many of the members already know me from either fighting fires together or from my time in the area office.